And what if what we’re wasting could turn into clothing? That’s the big question between France’s Pavilion and Lille Europe at Milan World Expo. The exhibition called Textifood follows the line of formers exhibitions of the category Futurotextiles developed since 2006, presenting fibers derived by vegetal species and and of course from animals. 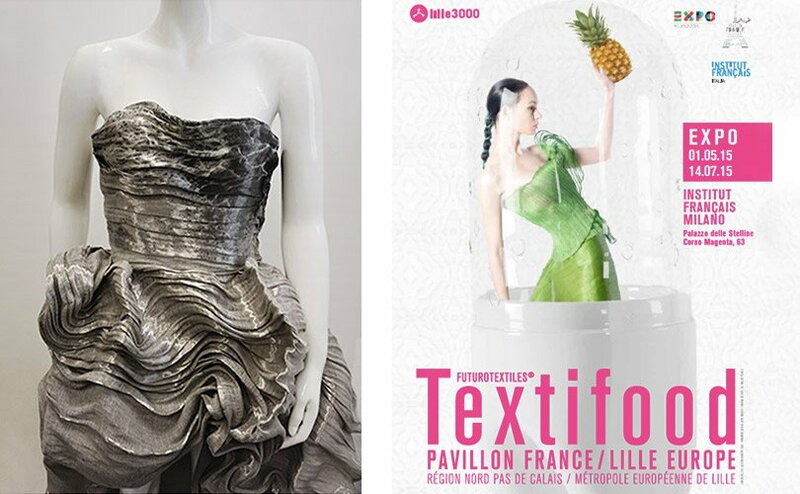 To show the new developed fibers in the right way, lille3000, cultural program promoted by the city of Lille, launched the challenge to designers and stylist aware of the sustainable growth. The result? 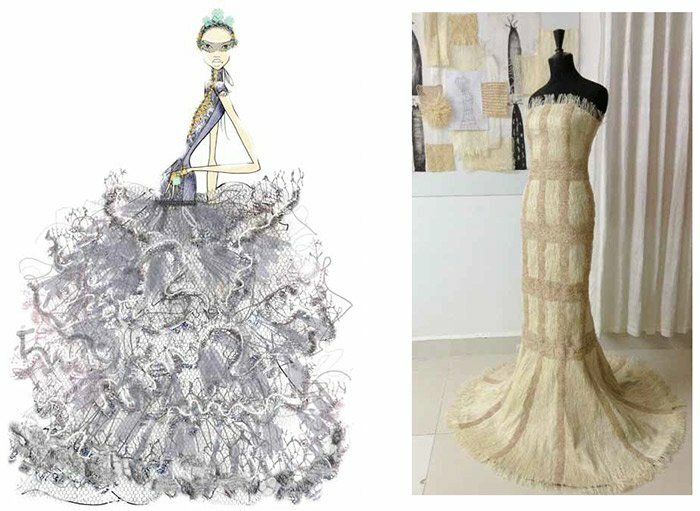 New textiles with an incredible variety, beautiful and couture dresses derived of garbage waste, making us reflecting on how our culture is pollutant. Among the incredible pieces we highlight the dresses from Em Riem and Ditta Sandico made by banana silk; Christine Phung and Morgane Baroghel-Crucq created a dress with organic volumes from metal strings, flaxseed and fish collagen fibers; Herbe Rouge took on the challenge by creating a garment made entirely from coffee; Geneviève Levivier and A + Z Design Studio experimented with new non-woven materials based on eggshell and on the PLA of corn and beet; Orange Fiber Research Office, based in Catania, Sicily, worked on the development of a textile from orange peels. We have our future in our hands so be aware of what you’re wasting.